"Every woman is a queen in my chair." This architectural rebirth strengthens the ethic of exception and refinement. Set against the background of Marigny and the Grand Palais, the salon conveys the essence of luxury in beautifully discreet surroundings. Old gold and luminous ivory, highlighted with a few touches of black set the tone. 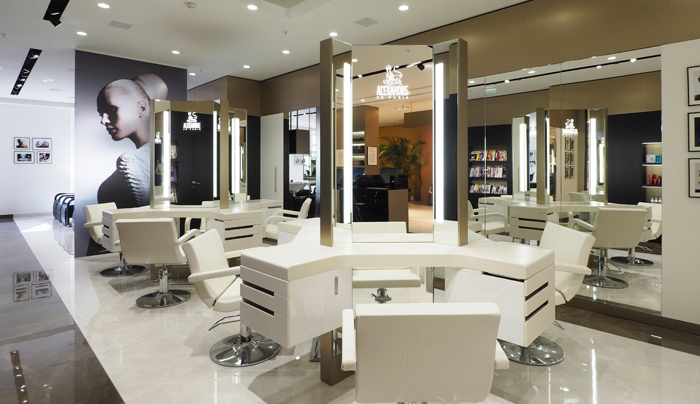 Total comfort combined with the transparency of light create an atmosphere of relaxation in this special place where the wonders of the hairstyling art take on their full meaning. As Alexandre de Paris always said, “Every woman is a queen in my chair”. And indeed the chairs have been arranged with the utmost care: little islands of 4 seats put the customers in a discreet but friendly position, enabling them to chat or enjoy their moment of relaxation in peace. There are lovely private cubicles for those who prefer more privacy. 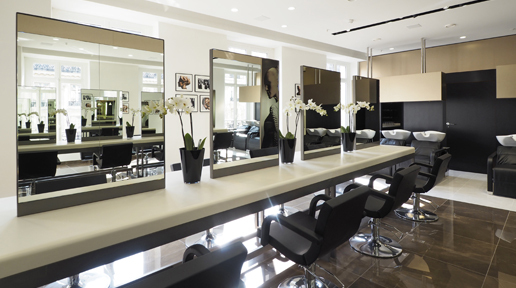 To complete the setting, Alexandre de Paris gives the hair accessories beloved of Monsieur Alexandre pride of place in the midst of the salon. In the heart of the Golden Triangle, the Alexandre de Paris salon has taken on a new attitude, intended as an invitation to get away from it all, a moment solely for beauty, tranquillity and wellbeing. Time stands still. An iconic address in the Parisian golden triangle which imparts all the values of the brand and whose history has made it a place of legend. 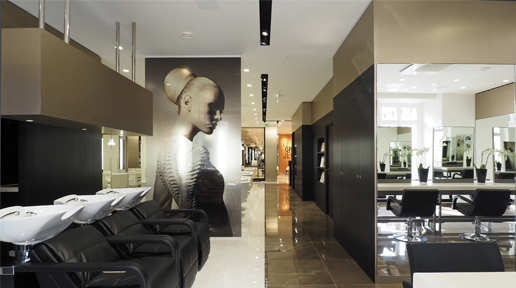 An ode to haute coiffure and femininity, the Alexandre de Paris salon is designed as a discreetly luxurious and hushed apartment where the beauty of hair is a holy rite. The colour area is arranged as a hall of mirrors, a sort of laboratory devoted to the perfection of colour, shade and love of hair. 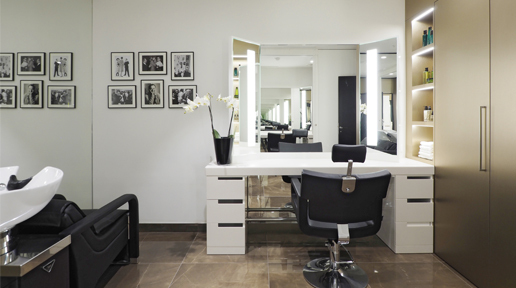 Devised as boudoirs, the private cubicles offer the treat of a completely private styling session. 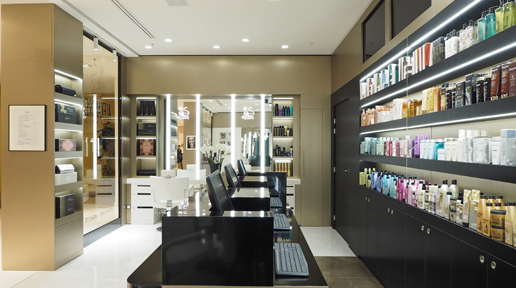 The care room is devoted to the ceremony of hair beautification in peace and quiet. 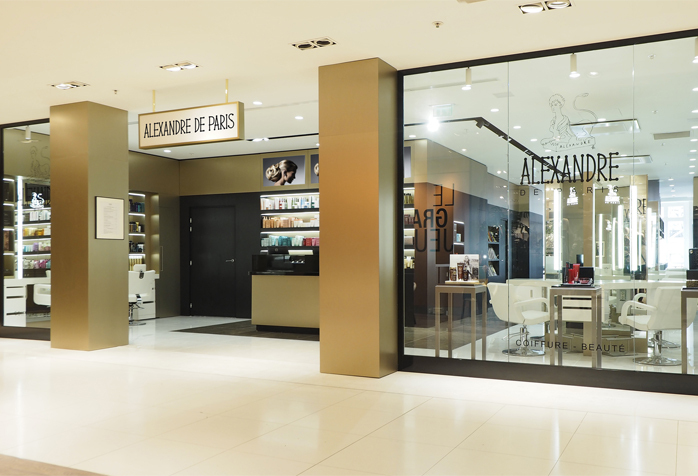 Alexandre de Paris offers a range of overall beauty services: beauty treatment, makeup, hand and foot care.